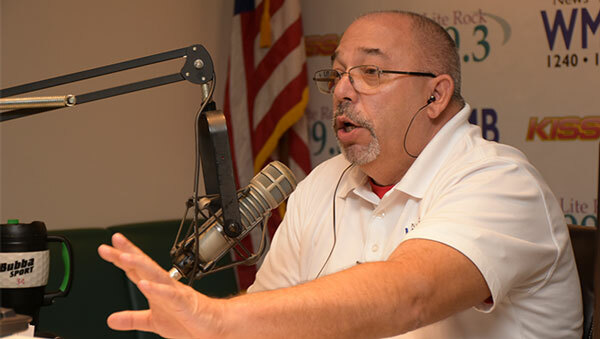 Radio Host and Florida Today Columnist Bill Mick. FloridaToday columnist and radio host Bill Mick has a rather interesting opinion piece in the FloridaToday, part of which concerns the Broward County Deputy Sheriff Scott Peterson who remained in his car while the horrific shooting was taking place at Marjory Stoneman Douglas High School in Parkland, Florida. While Mick sounds the what appears to be the right moral tone that we often hear of “don’t judge,” ultimately Mick’s point fail like dominoes collapsing. While there may be some who are judging the deputy’s actions, we’ve seen darn few people judge him as in pronouncing a sentence on him. Yegads! How dare someone criticize the SRO! There were consequences to the officer’s inaction that day. When SRO Scott Peterson failed to enter the building, the shooter was allowed to concentrate on doing nothing but shooting others. There was no threat for him to deal with or worry about. Peterson arrived on the scene and 2 minutes into the shooting and stayed in his car for 4 minutes. Four additional minutes of shooting. Furthermore, while Mick claims that Peterson’s life was “on the line,” the facts belie that sentiment. Peterson was never in the line of fire. He was never even in the building. To compound the error of his lack of even reconnoitering to try and get a glimpse of the shooter or even pin down the shooter’s location, Peterson and three other deputy sheriffs allowed the killer to walk off the campus in a la-de-da, casual manner. So while four officers did nothing, the killer walked away. Just friggin’ walked away and was found on the streets after ordering a soda in a Subway shop. The (in)actions of Peterson and his fellow LEO’s were so bad that a killer walked away from a tightly controlled area to the open streets. To take Mick at his word would mean that we would never say “I don’t like that song” because we have never been a recording artist. We could never say “we thought Fergie’s rendition of the National Anthem at this years NBA All Star Game was horrible,” because we are not recording artists. People could never judge the writings of a radio host and opinion writer unless they were on the air or had written for a newspaper. We could never hear people say, “boy, the Raised on Hoecakes blog is awesome!” because they may never have written on a blog. People could never judge sports officials because most people have never worn the uniform or been an official. We could never judge the actions of politicians, who often proclaim how much “courage” it took to take a particular stance (such as on Palm Bay’s storm water assessment increase) without ever having been a politician. We could go on and on but the fact of the matter is that we can still judge the (in)actions of Peterson and his fellow officers because the lives of others suffered. There are many people who talk about how some cops are heroes for stopping a person or whatever and that’s fine. But if those cops are heroes, what does it make a cop that did nothing? Additionally, the problem with Mick’s position is that it doesn’t address the fact that many people are demanding that “something be done” about shootings like this. How can we reasonably know what to do, what to keep, or what to change unless we judge whether the (in)actions of the people there – the people that a paid to do the job – were correct and appropriate? As we said, heifer hockey. If the SRO positions have problems and do not keep kids safer, shouldn’t we be looking at alternatives? If the training Peterson and the other LEO received did not work or “take” in their minds, shouldn’t we know that and try to figure out how we can make that better? To do so first requires that we acknowledge and say that Peterson failed. We have to judge his actions and the actions of others to see how we can make things better. Peterson refused to share any information with a DCF investigator regarding an incident involving Cruz but confirmed that staff from Henderson Behavioral Health in Fort Lauderdale visited Douglas High School, assessed [the killer] and did not hospitalize him, according to an agency investigation initiated in September 2016. In February of that year, the Broward Sheriff’s Office received a tip that [the shooter] said he planned to shoot up a school, the DCF announced Thursday. A deputy responded, and details were eventually forwarded to Peterson, the agency said. Sounds like to us there was a lot of things Peterson and the BCSO could have done better, but failed. Shouldn’t we say they failed and try and fix it or shoudl we just accept the failure and do nothing? Finally, if we can’t judge Peterson’s actions, then we cannot judge the actions of others that day. If it is wrong to judge the (in)actions of Peterson as Mick claims, then to be consistent, he must believe that it is wrong to judge the actions of those who saved lives, died in the process, and were declared heroes for their selfless sacrifice. “Don’t judge until you walked in their shoes” sounds great, but in this case it is nothing but being an apologist for failings of officers and an horrible comment on those who did do something that day. In some ways this instance is similar to the pulse nightclub shooting, but in that case police officers waited for 3 hours before advancing and confronting the shooter. It’s a terrible tragedy and could have been prevented if the school/school board had a properly secured school ahead of time and prevented a known dangerous individual from entering the school with a firearm. So sad that we’ve got better security at sporting events and concerts than at our schools, shame on our school officials. Why no calls that they were derelict in their duty to provide a safe and secure learning environment for the kids. At this point I’m not sure I can fault an officer for taking 4 minutes to assess the situation, call for backup, and try to decide the best course of action. Charging into an unknown situation with a sidearm to confront a semi-automatic rifle wielded by a nut job doesn’t make you a hero, just makes you reckless. I’d also like to hear more about what the officers duty is, I thought I saw a supreme court ruling a while back stating that police officers have no legal responsibility to protect people from harm, only to patrol as a deterrent and to arrest and prosecute after a crime has been committed. I believe it went on to say that the duty to protect citizens rested with the citizens and not the police. Also sad that the guys boss threw him under the bus so quickly, without even completing the investigation. Makes me wonder if department procedures are lacking or non-existent and he’s just playing CYA. Glad to hear from you as we know other responsibilities have taken time away from your often well thought out comments here. We appreciate your continued reading and commenting here when you can. There are several things to discuss. No one expects the officer to put his life on the line although we have seen other officers do just that in other circumstances. It’s an interesting point, but one that I don’t think stands up to scrutiny. First, no one is asking him to go “charging” anywhere. Staying in his car did nothing to help locate the shooter on the 45 acre campus. He knew the specific building, but wouldn’t getting out of the car and reconnoitering have helped stop the shooter from simply walking away? Wouldn’t walking around cautiously have helped calm the students and help locate the shooter in a specific part of the building? Is there no value in that? As for the sidearm vs. the semi-auto rifle, there are several things to be said. The officer was in his car which would have held a bullet proof vest, which would have limited his exposure. Secondly, the officer also would have had a long gun (shotgun or semi-auto) in his car. That more than evens up the odds to me. Third, even if we agree that it was a semi-auto hand gun vs. the semi-auto rifle, we are talking about an untrained person vs. a cop who has had hundreds of hours of weapons training, hundreds of hours of time on the range and thousands of expended rounds on that range. Trained vs. untrained. Skilled vs. unskilled. Better stopping power with the handgun vs. the rifle. Sorry, but I really think the argument of “handgun vs. rifle” falls apart when you look at the specifics and training behind who was shooting what. I agree with you that Sheriff Israel is CYA’ing, but that doesn’t mean he’s not right in some things. His deputies failed in every aspect of this case. From failing to investigate and handle complaints against the shooter years prior to the incident, to 4 deputies standing around as the incident unfolded to the new revelation that when the police got inside and were trying to track the shooter on cameras, they were actually looking at video prior to the start of the shooting and couldn’t figure out why they couldn’t see the carnage or where the shooter was. In the meantime, the shooter was walking out the door and onto the streets. Israel’s department failed at every step of the way and if he is throwing Peterson under the bus to save his own job, that shows the type of man he is and it is a man that should not be in law enforcement. Finally, tax payers fund a great deal of training and equipment for law enforcement. There is mandated training and certification yearly for officers. Departments are inspected by the FDLE for compliance in rules, regulations, etc. All that cost money and that money is out of the taxpayer’s pocket. With the response from at least four deputies from the BCSO, don’t we deserve better? Once again, thanks for the comment and we hope life is treating you well. To me it is very clear, Bill Mick’s narcissistic attitude is laughable. Once again bloviating about a law enforcement job he once had, was far, far from “carreer” qualifying! Talking with his former Mayor it is clear, “third smartest” seriously lacks integrity in his life, then and now.